Double the twins! Unexpected changes to store hours. Half of our staff is expecting twins in May! 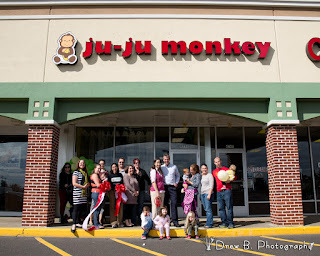 Due to the strong family friendly business practices at Ju-Ju Monkey and the unpredictable nature of labor/babies, we kindly ask for your patience as our store hours might be wonky over the next 6-12 weeks unexpectedly. We want to ensure our staff will have jobs upon returning from maternity leave, which limits our ability for hiring. We will be altering our hours to a new schedule once these babies arrive, but with any pregnancy there are surprises. This will NOT affect our classes. Classes will continue as normal. This jungle is evolving by going back to its roots! We're not joking, it's already April!